A month after opening a new research and development facility in the shadow of Nokia’s head office in Finland, Samsung is today breaking ground on a new campus just down the street from Apple’s Silicon Valley base. The Korean company currently has only a relatively small presence in the area. 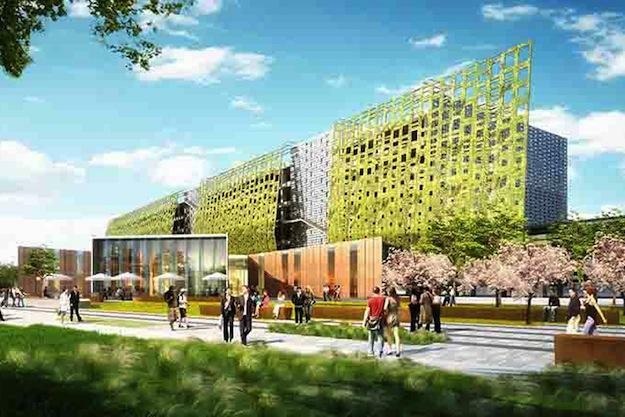 Designed by renowned architecture firm NBBJ – which is also responsible for the design of Amazon’s forthcoming Seattle-based HQ – the futuristic-looking facility, which will house around 2,000 workers, is designed to be energy efficient. 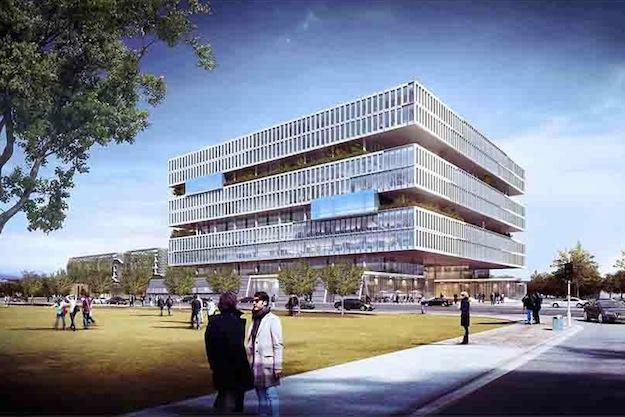 The campus, due to open in 2015, will also include a star-shaped cafeteria, rain gardens, a lawn garden, courts for basketball and badminton, and a parking garage. Some of the facilities will be open to the public. Jim Elliot, Samsung’s vice president of memory marketing, said on the tech giant’s website that his company was starting to outgrow many of its facilities, causing it to look at new locations around the world. Expanding its presence in Silicon Valley will allow Samsung to compete with Apple and other tech companies in the area for the same employees. 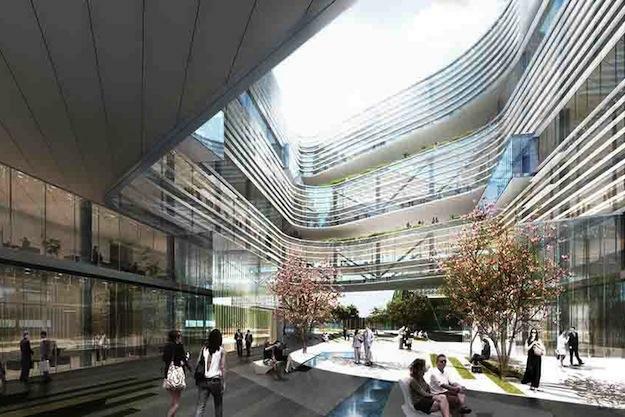 Samsung has been splashing the cash globally recently on the construction of a number of new R&D facilities. Last month the tech company established an R&D presence in northern Europe with the opening of a facility in the Finnish city of Espoo – the exact same place where Nokia, once the king of the mobile market – has its head office. And just last week Samsung said it would be investing $4.5 billion in the construction of five new R&D centers in its home country, including a cutting-edge design research facility for 10,000 designers, software developers and strategists to be built in Seoul. Samsung’s R&D network currently employs more than 40,000 people at 26 centers in 11 countries. In 2012, the company spent $10.4 billion on research and development, the most it’s ever spent on R&D in a single year.